The current global state of biodiversity has been described as a crisis, with some scientists going as far as declaring that the sixth mass extinction is already happening. What is also well documented is that in order to reach our global conservation goals, we need more money. The public, particularly in the Western world, has become more aware of conservation needs in recent times, and are thus more willing to donate to the cause than ever before. For example, the global outcry over Cecil the lion’s death led to massive public donations to organisations involved in lion conservation. However, one of the key take-home messages from the resultant Cecil Summit on lion conservation was that we need more money to secure the future of lions. Members of the public wishing to donate to the conservation cause face a bewildering array of organisations that are asking for money, many of them concerned with the same species. The discerning donor also wants to know how well their hard-earned money is spent, in terms of conserving wild animals and their habitats. Donors are advised to do their homework on the cause and organisation of their choice before committing to them. However, having done your homework, how do you separate the good from the bad? Here, I will provide some pointers on how to do just that. This article is not yet another call for more money or a definitive guide for which organisations are best, but rather a closer look at how the issue of funding affects conservation outcomes. I will take you on an insider’s tour of fundraising mechanisms used by conservation organisations, and reveal that how and where an organisation obtains its funds can influence its effectiveness. Additionally, I will highlight some critical, yet frequently overlooked, money-related issues that are hindering conservation. Having ‘taken the tour’, I trust you will have a greater understanding about how conservation works (or doesn’t work), which should allow you to make more informed decisions about supporting conservation efforts in future. First off, let’s talk about people. Every human endeavour on earth is, by definition, driven by people, and conservation is no different. Humans are the ultimate driving force behind the destruction of the environment, and humans are the key to resolving this problem. These points may seem obvious, and yet it frequently seems that the world of conservation finance is unaware of them. One of the most common complaints about conservation organisations (particularly large ones) is how much money is spent on staff salaries. This sentiment is echoed by many donor organisations that do not provide funds for salaries or administration costs. Objections to paying people are somewhat understandable, as conservation donors like to know that their money is going ‘to the animals’. Additionally, paying for equipment that is perceived to provide the resolution to conservation problems appears to give you more ‘bang for your buck’ than paying for someone’s salary, or office space. However, in my experience, the actual effectiveness of any conservation-related project or organisation is determined almost entirely by the quality and dedication of the people working there. One could sponsor a hundred anti-poaching drones, or the materials to build a similar number of predator-proof kraals, but without the right people involved, all that money could go to waste. People are not just an important part of conservation; they are critical. Directors and principal investigators (in the case of conservation research) are key to ensuring that an organisation fulfils its mission. Besides organisation leaders, the people on the ground – e.g. park rangers; post-graduate students; employees from local communities – are the little cogs that make the whole machine work. Particularly for employees drawn out of local communities, salaries and general staff treatment can make or break a locally based project, as this example from India demonstrates. Besides salaries, administration and overhead costs are vital to making a non-profit organisation of any kind work, yet they are frequently not covered or severely restricted by donor agencies. The people employed may be dedicated and passionate, but they soon become disheartened when vital equipment (e.g. vehicles) do not work, or there is no budget for basic office equipment like computers. As an example, I once looked for money to build much-needed predator-proof kraals in a remote rural area. All the potential donors I looked at that provided the modest amounts of funding I required (US$1,000-5,000) excluded vehicle expenses. Consequently, had I received funds from these organisations, the budget would have covered the costs for building several large kraals, but not for transporting these materials to target communities! Using funding from one grant, I was able to buy, transport, and pay to build predator-proof kraals for remote rural communities. This project was discontinued, as funding for transport and overheads is not available from many grantors. With the emphasis on funding equipment directly related to project activities (vehicles, computers etc. are categorised as ‘indirect’) and tangible, measurable outcomes, donors rarely support projects that rely on building relationships to find sustainable solutions. Projects that are aimed at local communities especially require time and patience, with measurable outcomes few and far between. Time and patience obviously requires the salary and indirect costs associated with getting the right kind of person into the right places, thus making the critical early phases of community projects virtually un-fundable. Some of the greatest conservation success stories were created through such unattractive processes as listening to and truly engaging with local people (e.g. establishing communal conservancies in Namibia), yet these successes are rarely repeatable due to donor reluctance to fund this kind of work. A recent grant proposal I helped write was aimed at reducing conflict between humans and lions. The timescale provided was two years, in which we had to produce such measurable outcomes as ‘the number of lions saved’, and ‘the proportion of lion range in Africa conserved’ as a direct result of our project. Anyone who has worked with local communities would realise that things are never that simple. You need to develop relationships and build trust, listen to what communities really want, and then present your ideas on potential solutions, respectfully allowing them to support or reject those ideas. In some areas, the idea of coexisting with lions is so nonsensical to local people that a measurable outcome such as ‘number of lions saved’ could take a generation to accomplish. Changing deeply held beliefs and perceptions simply does not happen on a two-year timescale. However, not spending the time needed to do this, and favouring instead projects that have donor-satisfying short timescales, frequently results in local communities realising that the NGO dedicated to ‘helping them’ actually has other priorities. 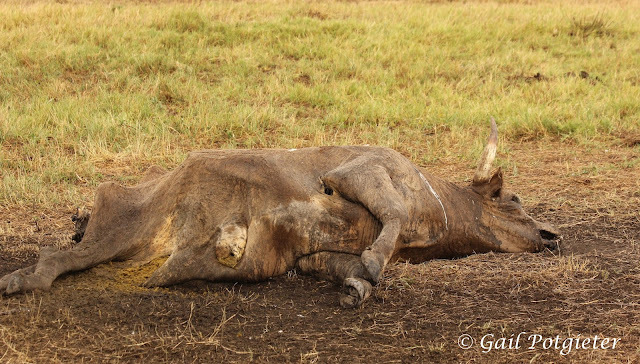 The consequences of this breakdown in trust for long-term, ultimate conservation goals (like ‘saving lions’) are dire. The less attractive face of conservation. This cow was killed by lions. Changing local perceptions of dangerous wildlife takes time and patience, which are difficult to fund. A lack of funding to employ and keep the best people can render a conservation organisation useless, or worse. Dynamic leaders are forced to spend their time fundraising, rather than furthering their conservation goals. Underpaid anti-poaching rangers could be tempted by bribes from well-funded poaching groups. Young, promising scientists could leave the field of conservation and apply their skills in another scientific field that holds better career prospects. I have not made these examples up; I have witnessed them time and again in different countries and organisations. Anyone working in Human Resources in any other industry will attest to the fact that the treatment of staff is key to the success of any organisation, and non-profit organisations are no different. What happens to an industry when all of the organisations therein underpay their staff and consequently underperform? The entire industry suffers, potential investors look elsewhere, and very little innovation or achievement is accomplished. Considering the consistent undervaluation of people in conservation, is it any wonder that our conservation goals are rarely achieved, and that donors are fatigued by constant requests for funds by a seemingly inefficient industry? But what about the overpaid CEOs of large, bureaucratic organisations that employ a legion of staff, yet don’t seem to get anything done? Or what about those organisations that drum up more than enough money through clever fundraising campaigns to fund bloated budgets? Sadly, unscrupulous organisations do exist in the otherwise noble field of conservation. Besides the outright fraudsters (such as cub-petting operations), there are an untold number of organisations that started off well, yet have been derailed by the conservation financing system. This leads me to the next critical issue: accountability. Do donors know what conservationists are doing with their money? Much of conservation funding these days comes directly from the public, as well-marketed conservation can generate popular support. Many organisations are becoming adept at fundraising from the public, and are looking at ways of marketing their cause as broadly as possible. Indeed, a recent study showed that increased marketing to the general public is a key factor for conserving less attractive animals. Whilst it is wonderful that more people are becoming aware of conservation needs and are willing to contribute to meeting them, this situation allows scope for abuse. Window dressing and exaggeration are common aspects of the fundraising campaigns of more conservation organisations than you want to know about. In the race for the public’s attention, each organisation tries to outdo the other by describing their cause in the most emotive way possible, knowing that tugging heart strings often loosens purse strings. Additionally, the success of each conservation project is talked up, and some projects are sustained simply because it looks good to the layman. Finally, few individual donors are interested in the financial nitty-gritty of their chosen recipient, so fund wastage and mismanagement can go entirely unchecked. The abuse of funding can be minimized by donor organisations that give grants to conservationists based on detailed project proposals and budgets. 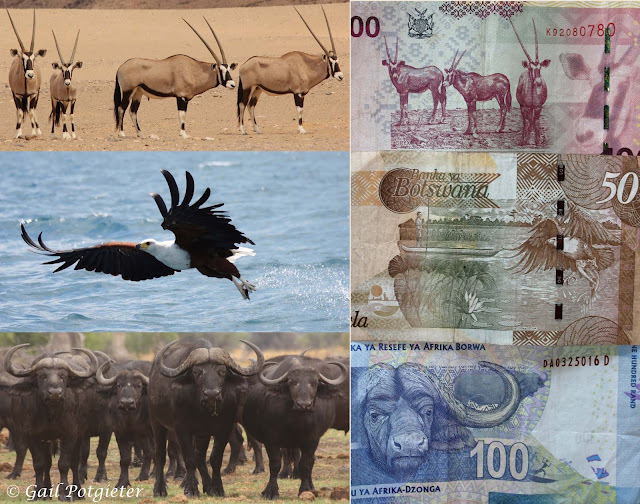 Having received a grant, the conservation organisation needs to provide regular update reports and financial statements that prove that the money is being used properly. However, from a conservationist’s point of view, fundraising from the public and writing grant proposals share one key drawback: time. The extreme competition for limited funding (from all sources) leads conservation organisations to devote increasing amounts of time to fundraising. In smaller organisations, the director or CEO is forced to spend most of their time either touring the Western world, or writing endless grants just to keep their projects going. Costs incurred by either of these activities are rarely covered by the funds received, and the general public have negative perceptions of organisations that, ironically, spend money to raise funds from the public. Larger organisations employ people to write grants and lead fundraising or marketing campaigns, thus freeing up time for their directors to focus on actual conservation work. Yet employing a fundraiser is one more administration cost criticised by potential donors as ‘unnecessary’. This situation is not helped by the fact that every donor organisation has different demands for how they want their grant proposals formatted or worded. Each proposal must be different from the last one, because donors have such a wide variety of demands and interests. A human-wildlife conflict project, for example, must be framed as conserving animals for one donor, and then re-framed as assisting local people for the next. Even donors with relatively similar interests request proposals in completely different formats, thus making it time-consuming to write several proposals for the same project. As for public fundraising, in-person tours generate more attention than online campaigns, which leads to the fundraiser racking up the air miles in a bid to reach as wide an audience as possible. A globetrotting director is vulnerable to becoming out of touch with local project staff, which can cause internal staff-related problems that hamper their organisation’s efficiency. At the end of another glorious day in the African bush, one pauses to reflect on how the day's time has been spent. For many conservationists, the answer is "trying to raise money". Sources of funding have an inordinate impact on conservation outcomes. In general, donor communities are either from developed countries, or urbanised subsets of developing countries. For African conservation NGOs, the people who are likely to be affected by their work are rural people in developing countries. The needs and desires of the donor and target communities are frequently at odds with one another, and it takes a brave balancing act to reconcile the two. Sadly, if they are not reconciled, then the wishes of the donor community are likely to outweigh those of the target community – money talks. This issue is certainly not limited to conservation NGOs, as all foreign-based or funded organisations in Africa walk the tightrope of helping communities and keeping donors satisfied. Here a just a few examples of how money can become an obstacle to conservation. NGOs that receive money through volunteers focus on projects that are attractive and allow a ‘hands-on’ approach for foreigners, even if such projects have dubious conservation value. Those supported by universities may focus on research questions that lead to publishing scientific journal articles, rather than producing practical guidelines for conservation managers (the world of scientific publishing is itself manipulated by money). Public-funded organisations may avoid controversial topics and choose not to lobby for legislation changes they know to be necessary, in case their followers do not agree with or understand their stance. Projects funded by short-term grants may show promise, only to be terminated when the funding runs out. Conservation NGOs run the risk of turning local communities against them by focusing on outcomes that tick donor’s boxes, rather than undertaking true community engagement. The above examples are just a small selection of the pitfalls conservation NGOs can fall into due to the source of their funding. Considering this list (which is by no means comprehensive) may leave you cynical about conservation in general – are there any organisations that do what they say they do? Are there any that use their funds in the best possible way? Should I spend my hard-earned money on conservation efforts, or will it just be wasted? How can we fix a system that seems so broken, before time runs out for global wildlife? As a conservationist observing the industry from the inside, it is easy to become despondent and think about giving up the whole effort. However, our wildlife deserve better than that. Furthermore, it is not all gloom and doom, as there are several organisations that have set out to do things a little differently from the rest. I will refrain from naming names here, just as I have for some of the dubious ones I referred to previously, as I do not have complete information on every organisation, and my opinions on any of them are entirely subjective. Nonetheless, I will outline some of the positive funding strategies I have seen that help conservation NGOs become more effective. A few of the larger conservation NGOs get around the problem of paying reasonable salaries, whilst remaining attractive for public donations, by funding their operating costs through endowment funds or conservation-minded philanthropists. This system is based on understanding how important people are in the conservation effort, and how difficult it is to raise public funds to pay them what they are worth. The salary-paying philanthropist then also has the right to know how the organisation is operated, and is more likely to hold them accountable for their use of time and money than the general public. Philanthropists and large endowment funds are rather scarce, and very little could be done worldwide if we needed one of these for every conservation attempt. However, the salary issue can also be addressed by businesses supporting conservation. Some companies have established Trusts that do conservation work, with the conservationists’ salaries covered by the business side of the operation. Specifically, wildlife-based tourism operators can play a greater role in conserving wildlife by adopting this model. As not all tour operators are big enough to support a Trust on their own, they could club together and support one Trust that does conservation work on their behalf. If you are interested in donating to a cause, don’t be put off by organisations that need funding for salaries and overheads, as not every worthy organisation has a philanthropist or business supporting it. Rather, donors should focus on finding out how an organisation is run, and how it proposes to meet its objectives. If possible, talk to a neutral party in the industry who can tell the difference between window dressing and real conservation. Paying the salary of someone who takes the time to engage with communities, or has the skills required for managing large wilderness areas, or the diplomatic tact needed to engage with governments at the highest level, is certainly not a waste of money. High profile award funds (e.g. the Tusk Awards) have been established to provide publicity and funding for hardworking, sometimes relatively unknown conservationists. Besides giving individual conservation projects a financial boost, the public recognition of the work done by these individuals will certainly help to keep their projects going in future. These awards also demonstrate that without dedicated conservationists, there would be no conservation, thus improving public perceptions of spending conservation money on people. Zoos with Trusts that act as donor organisations are talking about standardising their requirements for grant proposals, such that one proposal may be sent to several Trusts without needing extensive changes. This is a very positive development, and more grantors with similar interests should come together to standardise their proposal requirements. This would lift a great burden off the shoulders of small conservation NGOs that cannot afford fulltime grant writers. I recently found a new conservation group that promised to post all their financial records on Facebook, thus ensuring that their donors knew how their money was spent. This is an enormous step forwards in transparency and accountability, and I think many other public-funded organisations would do well to emulate this example. Donors should have easy access to such information, rather than having to do extensive research to find out where their money is spent. On the other side of the coin, donors need to understand that salaries and overheads (or indirect costs) are essential to the functioning of most NGOs. They should not discontinue their support just because their chosen NGO honestly includes these items in financial reports. Finally, some conservation NGOs that understand the importance of research for guiding conservation action have teamed up with universities. The conservationists on the ground play a major role in determining the research agenda, and the university supplies students to find answers to relevant research questions. In this way, research funding from international universities can support conservation action. This system serves to prevent research from becoming too detached from conservation realities, and helps increase continuity between research projects. The local conservation NGO thus becomes a hub of research and an overarching body under which post-graduate students can operate. 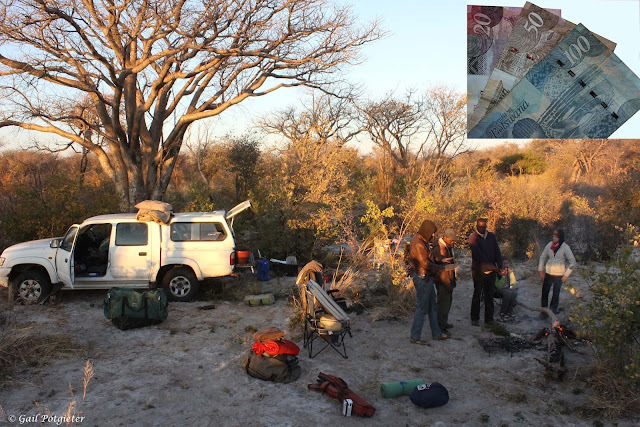 This field trip to monitor carnivore populations in an under-studied area of Botswana was funded by the University of Wisconsin (Steven's Point). Their students accompany us into the field and help collect data. As many and as difficult as the funding challenges appear to be, I believe that there are workable solutions. However, conservationists need to see the potential pitfalls of their particular funding strategy, and be willing to find ways to avoid them. As I have shown above, the source of funding can influence conservation work negatively, but it can also have a positive influence by increasing accountability and effectiveness. To this end, educating the donors about conservation funding issues is paramount. I would encourage all conservation organisations to take an honest look at how their funding sources influence their work. If this self-appraisal is negative, then look to engage with donors to find a way of making money work for conservation. Thanks, Monica. It also links in with your passion - communication! We need to be better at communicating the realities of conservation work to the outside world. Well, you know me - happy to debate any of them! Good to know! Share it with others and spread the word! Thank you for your comment! Start the trend by sharing with as many donors you know. So far, it seems this post has reached many conservationists, but few donors. We need more dialogue between these two groups about this sticky issue if we are to move towards better conservation practices.